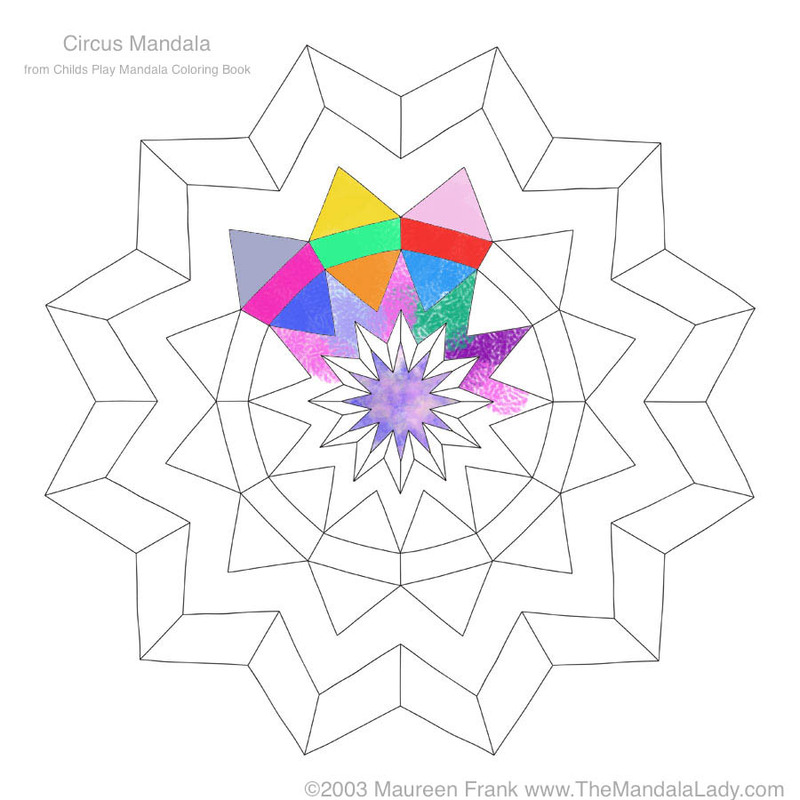 Regardless of how you approach the coloring of mandalas, I definitely would encourage you to treat the time that you do color as a form of active meditation while at the same time letting go of the outcome. It’s more about the process of coloring, the insights we gain while doing it, and the time spent letting our creative spirit out to play. If we happen to like it when it’s done, yay for us! Allow yourself 10-15 minutes each day to color, to express yourself in a creative way, and to engage both sides of your brain. 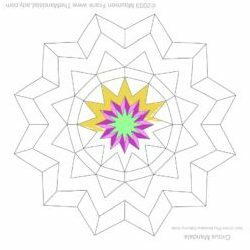 An added bonus to your coloring time would be to set an intention for some insight, guidance, or even a certain state of being-ness that you would like to create while coloring for that span of time. All that being said, I present to you 5 ways you can approach the coloring of mandalas (stay tuned for more ways to come). Of course you’re welcome to do it any way that feels best to you. 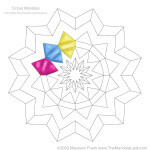 With this approach, we start by coloring the center section of the mandala first working our way to the outer rows. This approach is helpful with going directly to the heart of the matter, allowing whatever wants to come to the surface to do so in a slow, steady pace as we color our way outward with each concentric row. With this approach, we start by coloring the outer most row first, coloring our way to the inner most rows until we reach the center. This approach is helpful with starting at the surface level of ourselves and ever so slowly, going deeper and deeper into the center. With this approach, we pick a block of elements in the mandala, treating it as one unit and giving it it’s own personality. This approach is helpful with seeing and creating different perspectives outside of the obvious patterns…thus creating a new pattern by way of colors; seeing it (ourselves) in a different light. 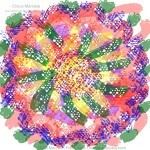 With this approach, we look to color in such a way as to create new patterns within the mandala. This approach is helpful with a desire to break out of old, obvious patterns; to see beyond the obvious, into new possibilities, creating new patterns within and around obvious patterns, adding new elements to color. With this approach, we treat each element as it’s own entity without any relation to any of the other elements. Here too we can create elements within elements either with combinations of color or adding new elements. This approach is helpful with breaking down the obvious into their individual components, giving each element its own special attention. Let each element of the whole speak to us, giving us its own message…and when done gives us a whole new perspective or idea about the mandala (ourselves). 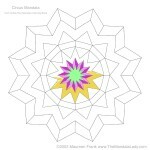 With this approach, we treat the lines of the mandala as just a guide. 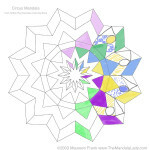 Coloring within the lines is completely optional as well as coloring outside of the mandala. This approach is helpful for when we really want to let ‘er rip. 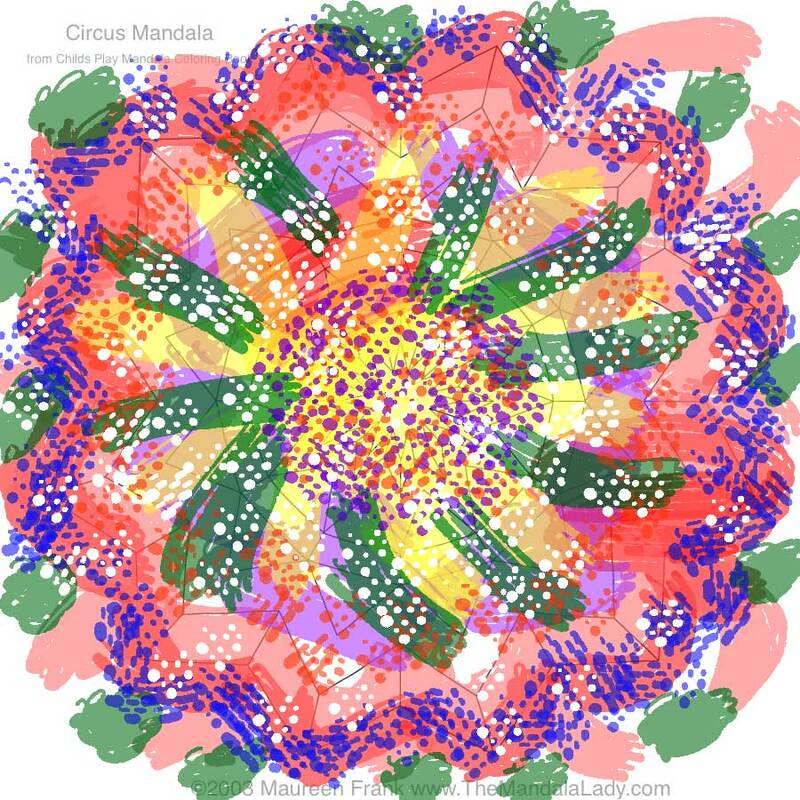 To feel the essence of the mandala, to color as we feel inspired to color, pushing the envelop, spreading the boundaries into areas we felt were out of bounds. It gives us permission to really express ourselves creatively and intuitively in the moment. 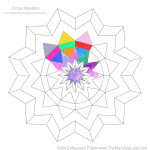 An interesting experiment to do would be to take one mandala design (say the February Mandala of the Month) and color it 5 or 6 different times trying out each approach. Compare the methods to find out which one feels best for you. 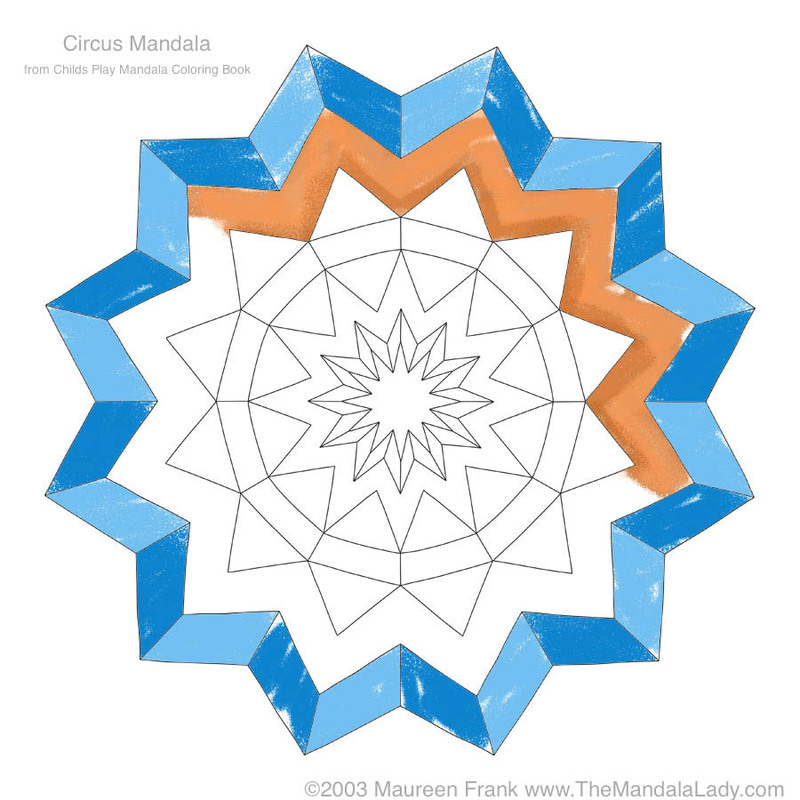 You may find that for one mandala, coloring from the inside out feels better; while with another mandala, coloring by sections feels the best. Whichever way you choose to color your mandala, keep your inner critic at bay and allow your creative spirit to come out to play. I love my coloring books! I am often on conference calls throughout the day and coloring while listening keeps me in a space of receptive openness and calm. I find it easier to sift through the thoughts, ideas and experiences of others to hear only what is relevant to me in the moment. And an excellent way to tap into one’s own creativity.